Classic Hotel Clay Match Book has a spring loaded surprise to shock your friends. 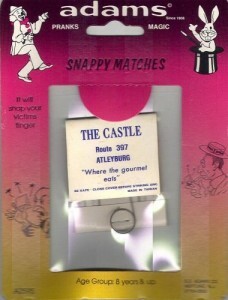 The matchbook features 1940’s retro graphics and even a 2 letter phone number from the 1930’s. A classic American practical joke.